DJ Flow, also known as Brooklyn born Dwight Flowers Jr., is no stranger to hard work. At a very early age he understood the importance of a good work ethic. Raised by a single mother, his dedication to becoming a worthy community servant and provider was innate. During his college years at Morgan State University, Flow - along with co-founder DaQuan Lawrence - created an organization to specifically help guide young men through their college matriculation. “S.M.O.O.T.H.” (Strong Men Overcoming Obstacle Through Hard work). Since SMOOTH's founding in 2009, it has blossomed into one of most respected male organizations at Morgan to date. Starting both an organization and the craft of the disk jockey in 2009, DJ Flow quickly rose to extraordinary heights. In six short years, he became a shining gem and treasured DJ to the DMV area. In 2013, DJ Flow was name "Baltimore DJ of The Year" by Fab Empire. He has traveled to colleges & stadiums all over the United States, giving people good music and an even better show. 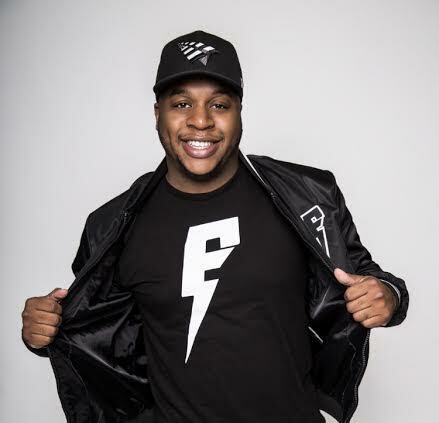 DJ Flow has had the privilege to spin for celebrities such as Nicki Minaj, Michelle Obama, Khloe Kardashian, Jay-Z and many more. After being added to the elite DJs coalition Core DJs, Flow could only continue to prosper. With no signs of easing up, he's now the fresh new face of 92Q, DTLR Radio and the official DJ for Shy Glizzy, Roc Nation's Casanova & Tate Ko Bang. It is safe to say he is on the path of longevity and will be producing major waves and sounds for the music industry. Colin Kapaernick isn’t the only player that the NFL did dirty.